The evolution of the Prabal woman continues this season, evoking a strong and confident femininity that is juxtaposed by clean lines. 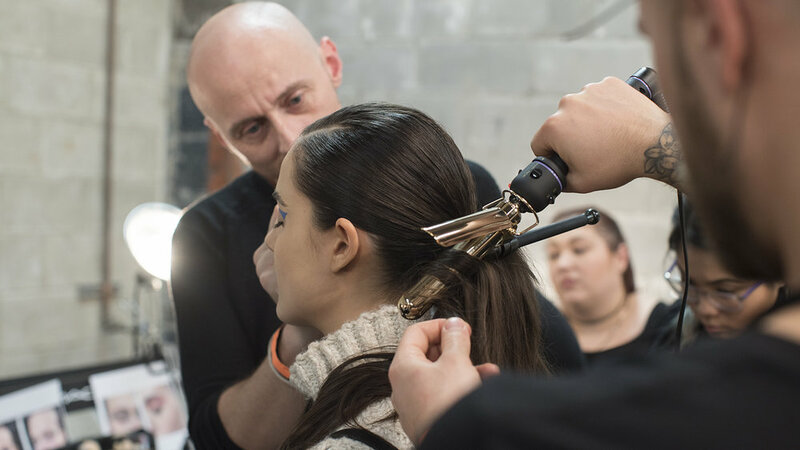 We loved the vibe and message from the show so we spoke with the lead hairstylist at the Prabal Gurung show, Anthony Turner for Hot Tools and Wella, to share how you can create this runway look at home. A modern take on the classic ponytail with textured tousled hair in the back that is complimented by a boyish look in front with clean combed over hair to create a play on the sexes. 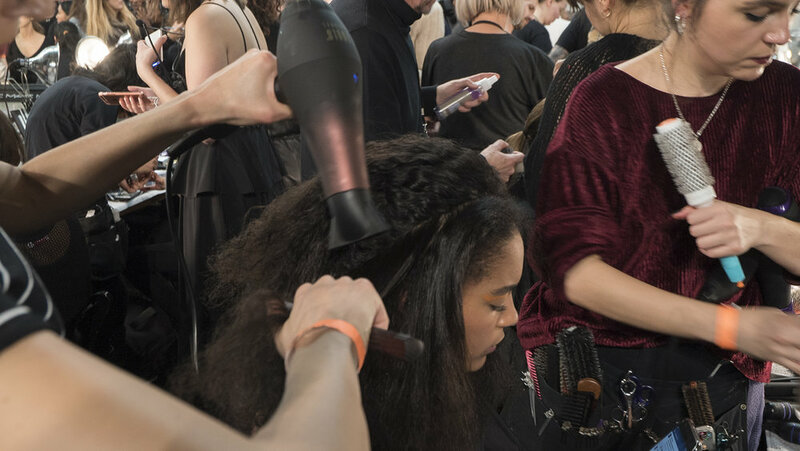 · Prep the hair with WELLA EIMI Sugar Lift Sugar Spray layering it densely all over, and dry using the Hot Tools Tourmaline Turbo Ionic Dryer. 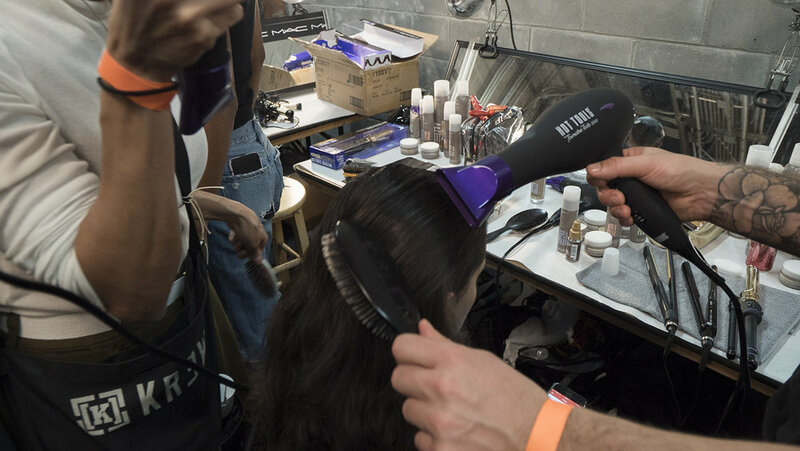 · Once it’s all dried in use the Hot Tools Soft Grip Paddle Cushion Brush to smooth it out and create a very deep side part on the left. · Rub the WELLA EIMI Rugged Texture Matte Texturizing Paste into the crown to give it that sleek look. · Push the front, right section of the hair towards the face, creating a small bump in the front. Break up the hair with fingers for that “lived-in” texture. · Pull the hair back into a tight ponytail in the dead center of the back of the head. · Wrap strands around the Hot Tools 1” CURLBAR (available later this month) in different directions, making it look very natural. Rub in the WELLA EIMI Sugar Lift Sugar Spray into the ponytail and break it up. · Spray the WELLA EIMI Stay Firm Workable Finishing Hairspray all over to complete the sleek look. Let it sit. To finish, blow dry to keep ensure it holds.